The path begins at the Randa train station, where the "Europabrücke" signs point in the correct direction. 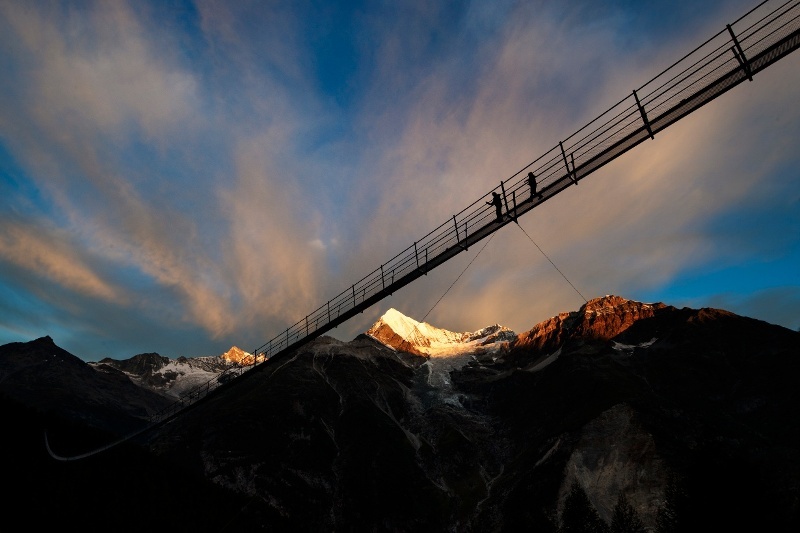 Through larchwood forests and past the "Hohtschugga" viewing point, hikers reach the world-record holding "Charles Kuonen Suspension Bridge". 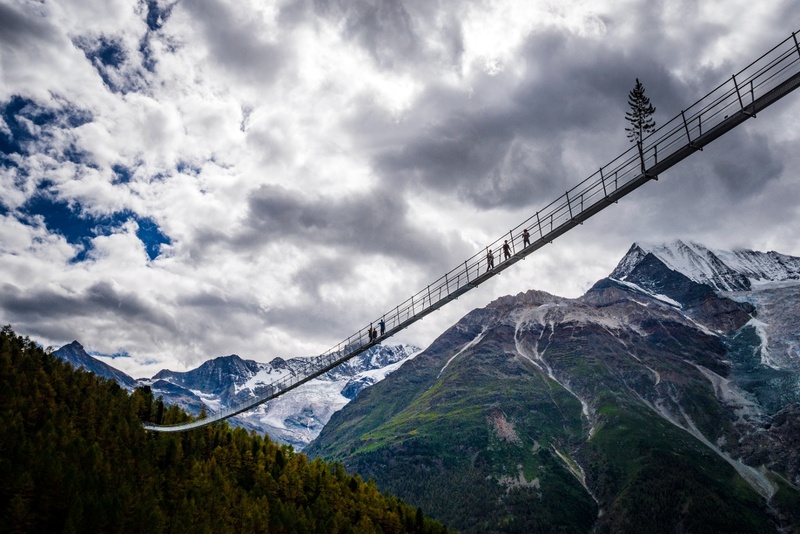 At 494 m, it is the longest pedestrian suspension bridge in the world. It takes almost 10 minutes to cross it and in the middle, swaying walkers are at the highest point: 85 m above the Grabengufer. After crossing, the path continues right back to Randa. 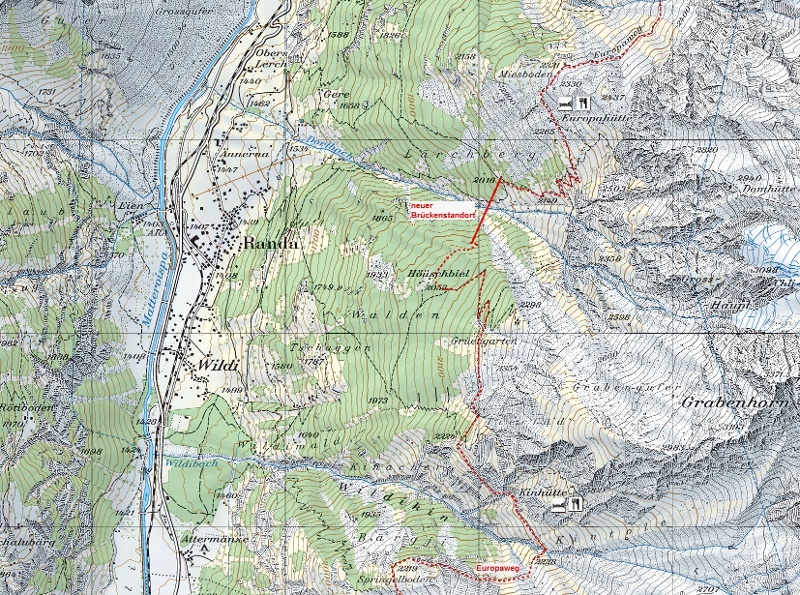 As an option, one could make a detour to the Europa hut after the bridge. 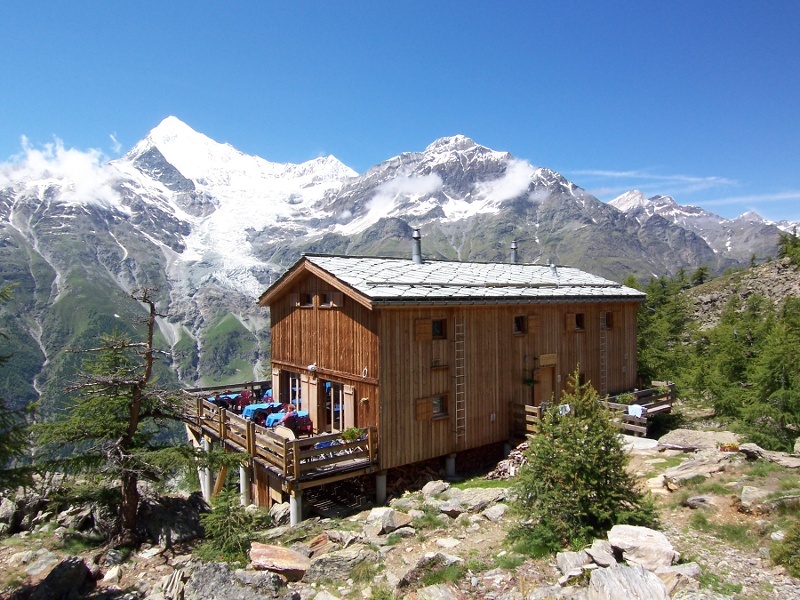 The Europa hut is on the Europa path, as the name suggests, and thus also on the Monte Rosa tour. 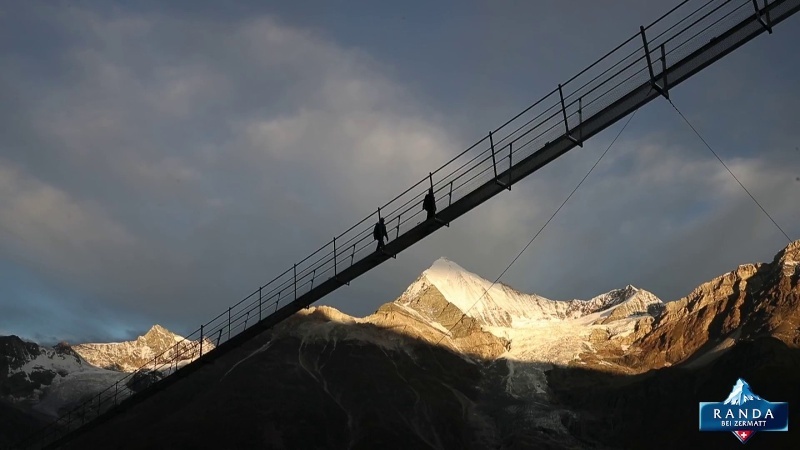 For a practice tour, the shorter suspension bridge above Zermatt at Furi is just right. 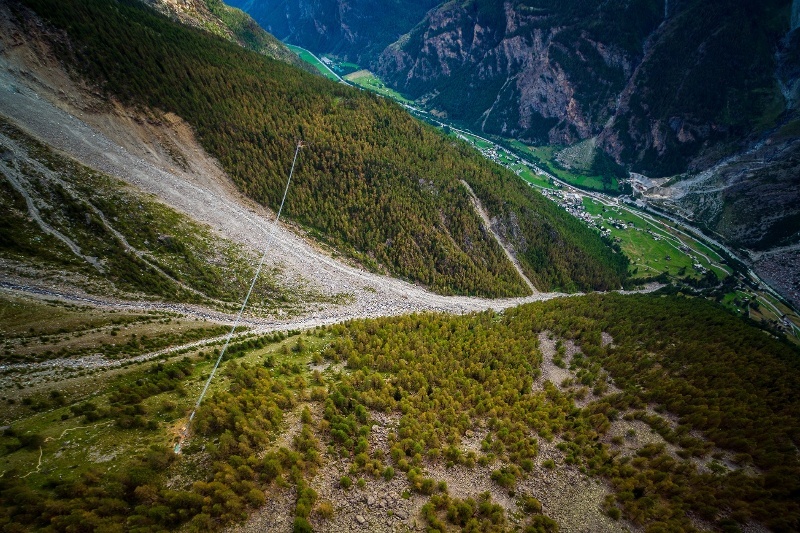 At 100 m long, it crosses the Gorner Gorge and is 90 m high at its highest point. 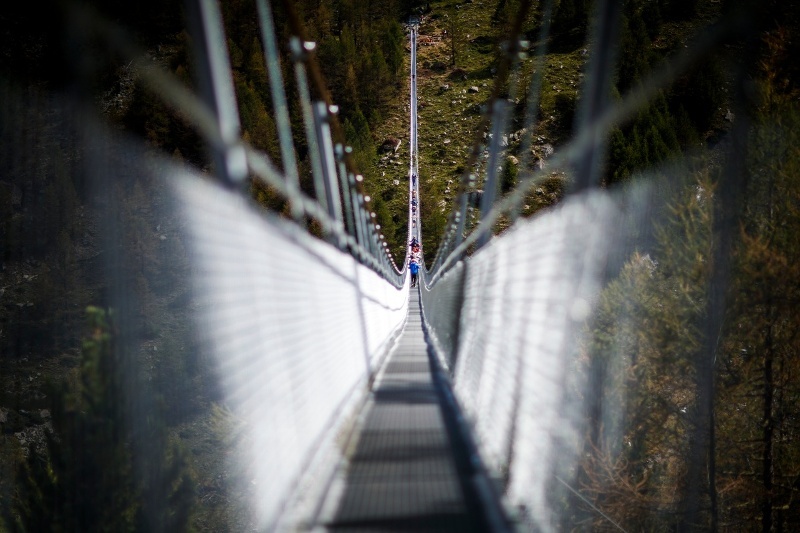 Not having a fear of heights is an advantage. Find out whether children and or dogs would cross the bridge (grated walkway); see the “Tip from the author” section.